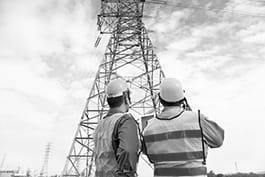 First line supervisors, mechanics, installers or repairers supervise, coordinate and participate in the activities of mechanics, installers, and repairers. Determine necessary installations, services and repairs, e.g. by analyzing relevant information and examining objects, systems and facilities. Determine schedules, sequences and assignments for work activities. Give instructions to workers, e.g. work specifications, blueprints or job orders. Monitor and control work areas, tools and equipment. Monitor and review employees' work performance. Participate in the work activities of mechanics, installers or repairers. Compute estimates and actual costs, for instance of materials, labor and outside contractors. Participate in budget preparation and administration, e.g. by monitoring departmental expenditure and coordinating purchasing. Advise employees on work-related issues. Conduct or arrange training in job-related skills for workers.